Versatile, durable and bursting with brightness? 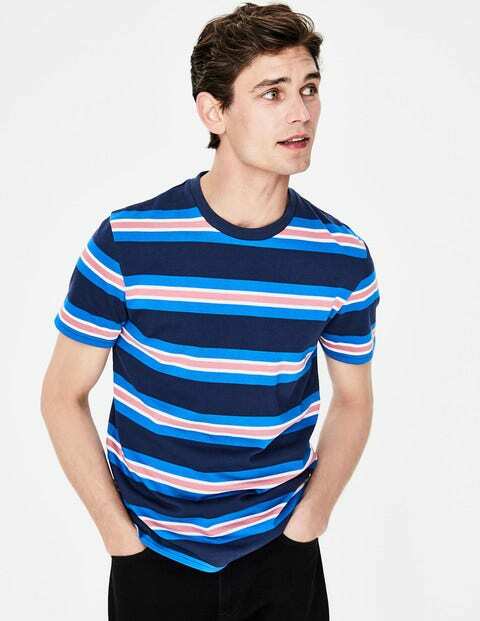 Our striped jersey T-shirt is exactly what your wardrobe needs. We've crafted it from a soft, midweight cotton, with twin-needle stitching along the hem to make sure it goes the distance during five-a-side games. We've added herringbone tape on the back of the neck and side splits with subtle pops of colour, making this an instant weekend classic.